One Part Per Million is a collaborative needlepointed data sculpture that seeks to raise public awareness about the health and environmental consequences of our reliance on petrochemicals by exploring the impact of one chemical in particular: vinyl chloride. Completed in 625 individual segments of 1,600 stitches each, One Part Per Million will come together to form a 1,000,000-stitch textural tapestry representing the proportion of 1 part per million: the current maximum long-term exposure limit for vinyl chloride workers. We often think of toxicity at large scales—oil spills, landfills, billowing smokestacks—but much of our exposure to dangerous chemicals happens at imperceptibly small doses that nonetheless make a significant impact on our health, communities, and environments. Through visualizing one such imperceptibly small quantity at a human scale, One Part Per Million asks us to critically re-examine the ethics of our materials. Vinyl chloride is used to make PVC plastic, an attractive material to designers and consumers because of its durability, versatility, and low cost. Over 30 billion pounds of vinyl chloride are produced every year, and used to make everything from vinyl siding and PVC plumbing pipe to medical IV bags and vinyl records. Unfortunately, in addition to being one of the most ubiquitous chemicals on the market, vinyl chloride is also one of the most toxic—a human carcinogen that is 1,000 times more toxic than Lead. Short-term exposure to vinyl chloride gas causes headaches, dizziness, fainting, and—at high concentrations—death. Long-term exposure causes permanent liver damage, immune reactions, dissolving of the terminal bones of the fingers, nerve damage, and cancer. Scientists use parts per million (ppm) to measure the concentration of a toxin in the environment at low concentrations. If vinyl chloride is present at 1 ppm, this means it accounts for only one one-millionth of a measured quantity of air, water, or soil. The vast majority of vinyl chloride is used to produce PVC products like vinyl siding, wire coverings, and PVC pipe that are used in the construction of buildings. When a building catches fire, vinyl chloride gas is released from these materials at concentrations of 8,000 parts per million. At these concentrations, even a short-term exposure to vinyl chloride gas can cause permanent health damage and even death. Vinyl chloride is a colorless gas with an odor threshold of 3,000 parts per million. Below this concentration, vinyl chloride is completely imperceptible to the human senses. Because only 0.25% of PVC products are ever recycled, the vast majority are incinerated or end up in landfills. Levels of vinyl chloride gas as high as 44 parts per million have been observed in the air surrounding landfills. While PVC plastic itself does not usually emit a substantial amount of vinyl chloride in its inter form, PVC has a high chlorine content (53%) and vinyl chloride gas is released when this chlorine slowly breaks down in a landfill setting. No regulations exist to govern the exposure of communities surrounding vinyl chloride production facilities. These communities, known as "fenceline" communities, are daily exposed to vinyl chloride levels as high as 10.6 parts per million. These numbers can spike drastically in the event of catastrophic accidental releases and so-called "fugitive emissions" during the normal course of business. 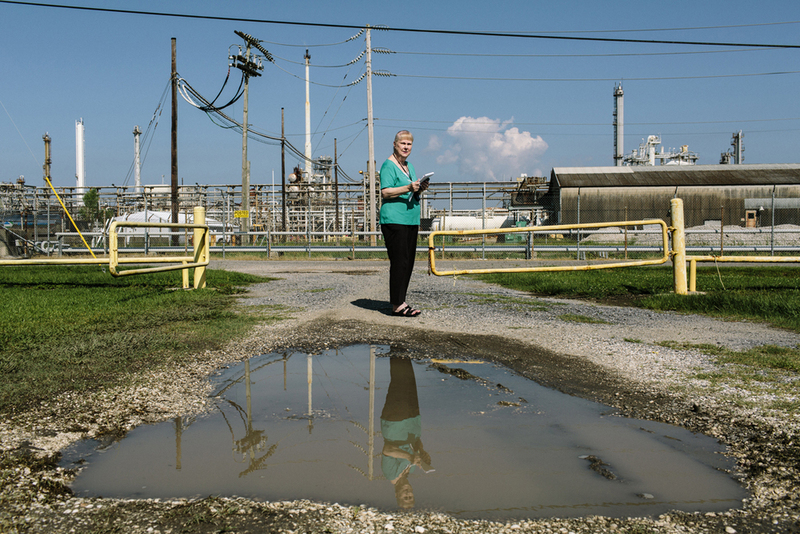 In towns like Mossville, Louisiana, which is surrounded by 14 chemical plants—three of which are vinyl chloride production facilities—these emissions are difficult to trace to a single source. Accordingly, residents suffer chronic health problems at alarming rates, yet have little recourse to hold corporations accountable. Under current EPA regulations, as long as vinyl chloride manufacturers report all releases of vinyl chloride to the EPA's Toxic Release Inventory, the releases themselves are within the bounds of the law. In 1974, the exposure limit for workers in the manufacture and polymerization of vinyl chloride was lowered from 500 parts per million to only 1 part per million. 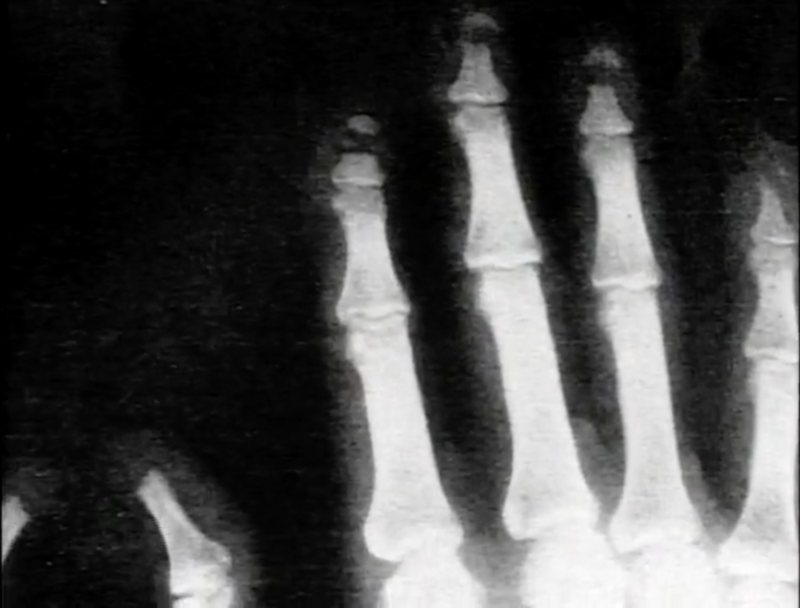 This only happened after a group of 10 vinyl chloride workers at a plant in Kentucky died of angiosarcoma—an extremely rare form of liver cancer—in the early 1970s, confirming confidential industry studies linking vinyl chloride exposure to angiosarcoma of the liver. In many ways, 1 ppm is an arbitrary limit, with many experts arguing it may still be hundreds of times too high to be truly safe. A Chinese study conducted in 1999 confirmed that workers exposed to 1 ppm developed genetic mutations of the p-53 protein consistent with angiosarcoma of the liver. The EPA-mandated ambient air standard for vinyl chloride is only 0.00047 parts per million (or 0.47 parts per billion). This is the level at which vinyl chloride is considered safe for the public. Wilma Subra is an environmental chemist and expert on vinyl chloride toxicity. She is the recipient of a MacArthur Genius Grant for her work helping citizens in communities like Mossville understand and combat toxic chemicals in their communities. One Part Per Million spoke with Wilma about the impact of vinyl chloride at the nexus of scientific research and community activism. Can you begin by talking about your connection to vinyl chloride as an issue and how you came to study the chemical? The issue surrounding vinyl chloride has been around for a very, very long time. A number of facilities make vinyl chloride, and then they also change it into polyvinyl chloride [PVC], but the vinyl chloride itself is very, very toxic. It’s known to cause angiosarcoma of the liver, and I’ve been working on that chemical since probably the very early 1970s, when there was not a lot known specifically about the environmental impact of releases of vinyl chloride, as well as the human health impacts. Looking at what the chemical was and how it was manufactured led to [finding out] how it was impacting the communities surrounding the facilities that were manufacturing it. In the ‘70s…there were not a lot of rules and regulations being enforced, so there were a huge number of leaks and spills that occurred…and some of the leaks occurred wherever there were two pipes joined together, or where there was a connection or a change in direction [between the pipes]. The chemicals that were released from these types of situations were allowed to go off-site and negatively impact the communities living on the fenceline. So it’s been an issue for me for a very, very long time. The attempt to get a reduction in exposure on behalf of the fenceline communities has led to a number of these facilities identifying how frequently they have accidental releases and upsets; how frequently those accidental releases and upsets cross the fenceline and go into the fenceline communities; and then, how frequently the community is negatively impacted by these releases. From your perspective as a scientist, what constitutes a harmful quantity of vinyl chloride? Why should a number like 1 part per million be meaningful to a layperson? Vinyl chloride itself is very, very toxic at very, very low concentrations. [The ambient air standard for vinyl chloride is set] at a couple of parts per billion—…b as in billion—and if that concentration leaves the facility and goes into the community, it has the potential to cause long-term health impacts. So this very, very low concentration of this toxic chemical for most people sounds like it’s too small to have any negative impact, but because this chemical is so very toxic, this small quantity has a very negative impact not only on the community, but also on the organisms, the vegetation, and the animals that also live in the area adjacent to the industrial facilities. So this very small concentration, in the parts per billion range, is something that people should be very aware of, and consider the negative impacts. So one part per million is actually quite a large number? Yes. One part per billion is a very small amount, but when you change it to a part per million, that would be almost a thousand times the acceptable [ambient air] limit for a compound such as vinyl chloride. "Because this compound is so toxic at low concentrations, it deserves to be treated like it is really not appropriate to have in the environment." The exposure limit for vinyl chloride workers is currently set at 1 part per million. Do you think that limit should be lowered? Is it safe? A 1 part per million exposure limit for workers is based on workers usually working an eight-hour day, as compared to the concentration in the ambient air where the [fenceline] community would live, which would be a 24-hour exposure, 7 days a week. However, because this compound is so very toxic, a 1 part per million exposure limit for workers should be reduced. Frequently, when you start measuring what the workers are actually being exposed to—not only in the air, but what they come in contact with through skin absorption—that can result in far higher than a 1 part per million exposure that doesn’t get counted. How does vinyl chloride stack up against other toxic chemicals in terms of its health and environmental impact? Vinyl chloride, as I said, is known to cause angiosarcoma of the liver, and it’s one of two chemicals that have direct cause and effect—the other being asbestos. So when you start looking at vinyl chloride and its acceptable concentrations in the environment as far as human exposure, [these acceptable concentrations are] much, much smaller than all the other chemicals, including Benzene, which is a known cancer-causing agent that causes leukemia. Because this compound is so toxic at low concentrations, it deserves to be treated like it is really not appropriate to have in the environment. The other part is that when you manufacture vinyl chloride, you also manufacture large quantities of dioxins and furans, which are released by the industrial facilities into the community. The vinyl chloride, in addition to the dioxins and furans, makes that toxicity even greater. Dioxins and furans are even more toxic than vinyl chloride, and they are very persistent in the environment. They are taken up by the humans that live in the area, specifically when they consume food products that are contaminated by dioxins and furans, and then [the dioxins and furans] are concentrated in their blood and last in their blood for many, many years. So it’s not just what is happening when you’re exposed to vinyl chloride, but what is happening when you’re exposed to vinyl chloride and all its associated compounds that are being released from industrial facilities at the same time. "This was a definite cause-and-effect, specific to that industrial facility, and yet the environmental agencies at the state and national level still would not require that facility to make any attempts to reduce that emission." Can you tell me about your most unsettling moment in your work with this chemical? Is there a moment that stands out to you as particularly resonant? Working with one of the communities that is surrounded by a number of industrial facilities—three of which manufacture vinyl chloride and release it into the environment—the community of Mossville, in southwest Louisiana. Because of the historical exposure and continued ongoing exposure, the community members in Mossville have dioxins and furans in their blood at three times the national average. The issue is, when that was identified by the Agency for Toxic Substances and Disease Registry, they tried to minimize it and not deal with the situation. Those samples were first performed in 1997 and ’98, and the ATSDR thought maybe it was just a fluke that people had that much, so they went back in 2001 and sampled their blood again. It was still three times the national average. Once again, they just tried to minimize it and not do anything. We requested at the time that the facilities surrounding the community be required to reduce their emissions. I compared that data with the data [about] the dioxins and furans being released by the industrial facilities, which became available as a result of the Toxic Release Inventory. [TRI is] an Environmental Protection Agency program that was required in calendar year 2000; when that data became available, I compared the air emissions from the industrial facilities with the concentrations and the congeners—the individual compounds—that were in the blood of [Mossville residents], and a vinyl chloride facility in the community was responsible…its congeners in the air matched the congeners in the blood of the people living on the fenceline. This was a definite cause-and-effect, specific to that industrial facility, and yet the environmental agencies at the state and national level still would not require that facility to make any attempts to reduce that emission. Therefore, the people were continuing to be exposed to it, and we could not get instituted a mechanism to reduce their exposure. On a more positive note, has there been any success in reducing emissions in recent years? Yes, we’ve identified the kinds of facilities that produce these compounds—again, vinyl chloride manufacturers—and in the community known as “Rubbertown” in Louisville, Kentucky, the facilities there were releasing huge quantities of vinyl chloride, as well as dioxins, into the environment of this (largely African American) community. Working with the Environmental Protection Agency Region 4 out of Atlanta—which has jurisdiction over Kentucky—as well as the city of Louisville, we were able to [institute] a program called the STAR Program, which requires the industrial facilities releasing chemicals in excess of standards that the STAR Program established…to reduce those emissions. Over the years, we’ve been able to get the industrial facilities, and in particular the vinyl chloride manufacturing facilities, to reduce their emissions, and thus we reduced the exposure to the community living in the area. Do you think the same type of program would be valuable to a community such as Mossville? It would be very valuable to a community such as Mossville. But we cannot get the federal and state agencies that have jurisdiction over the Mossville community to do anything similar to the STAR Program. Can you talk about the role of place, socioeconomic status, and race in terms of who gets affected by vinyl chloride exposure? From reviewing the industrial facilities across the United States and in a number of foreign countries, the fenceline communities are usually minorities, they’re usually very poor, and they usually do not have the ability to relocate away from the area. Usually, these communities would not have the opportunity to participate in the process [of reducing emissions], but working with a large number of them—educating them and empowering them about what the situation is, about the toxicity of the chemical, about the health impacts that the chemical is associated with—these communities have been able to rise up and interact with the industrial facilities that are poisoning them, and also with the regulatory agencies…they’ve been able to show these regulatory agencies just how much they are being negatively impacted…They’ve been able to stand up and prove what’s been going on in their communities and demand that emission reductions occur to reduce their exposure. "Consumers need to be aware of the extreme toxicity of vinyl chloride, and when they buy products, they should check and see if there is any vinyl chloride in those products." From my perspective as an artist and designer, and speaking to my community of practice, what would you say that people involved in fields like design, product design, and architecture should understand about PVC and vinyl chloride, and how PVC stacks up against other materials in terms of its impact? When you’re dealing with people who are buying products, particularly building materials that have vinyl chloride as a large component, they really need to understand the complete life-cycle of vinyl chloride, and how the manufacturing process is negatively impacting huge numbers of communities around the world. Secondly, when they use these products, they have to understand that there is still a residual amount of vinyl chloride that will be released from these products into the air and serve as a source of contamination for the people working or living in these structures that they are designing. Thirdly, if this material burns in a building fire, it releases huge quantities of toxic chemicals. So, it would endanger the firefighters—even though they are always wearing protective gear—and it would also endanger the police that are there directing traffic, and any onlookers. Once the fire is put out, frequently, the people who were in those structures will come back to see what they can salvage and they will be exposed. So it’s not just looking at “this vinyl chloride product will be wonderful to put in this building.” They need to look at all the negative aspects before they make that decision. There are alternative products they can use that are not nearly as toxic, and do not have nearly as many associated negative health impacts. Speaking of those alternatives, have you seen any that are at the stage of being industrially viable, in terms of the chemical industry shifting its focus away from a material like PVC? When you look at the chemical manufacturing sector that manufactures polyvinyl chloride—or, rather, that produced vinyl chloride and then polymerizes it—they tend to minimize the health impacts and minimize the environmental impacts. They select what they want to tell you as far as any negative impacts, but they don’t want to consider changing to a product that is less negative as far as health and the environment. So it’s a real battle with that industrial sector. But then when you start looking at people who buy the building materials, and organizations such as the Healthy Building Network, then suddenly you see there are a lot of alternative products that are just as good for manufacturing structures…The companies need to be encouraged to move to those types of materials and away from vinyl chloride. What action can consumers take to challenge the paradigm of vinyl chloride? Consumers need to be aware of the extreme toxicity of vinyl chloride, and when they buy products, they should check and see if there is any vinyl chloride in those products. If they’re picking out things to bring into their home or into their office, they need to make sure it’s not a vinyl chloride product because then they will be…enabling exposure from those materials to occur. It’s hard to just look at something and tell whether it’s vinyl chloride or something else. You have to look at the labeling to be sure it’s not, because [manufacturers] are required to list the kind of plastic [an item] is made out of. I don’t want to tell you that one product is great versus another product and then, all of a sudden, I pick up one one day and the thing I thought was really good has a large percentage of vinyl chloride in it. So you need to look at the labeling. From your experience dealing with the EPA and regulatory agencies, can you walk people through steps they can take to bring this conversation to a legislative or regulatory level? I think when you have these types of conversations with trade organizations, local governments, and state and federal governments, what you need to do first is go to the Environmental Protection Agency’s Toxic Release Inventory. For your area, enter in the chemical vinyl chloride and see which facilities in your area release that chemical into the environment. Then you’ll be talking from a base of knowledge when you go to your state representative, you can say, “Did you know that in your district there are a number of facilities releasing a very toxic [chemical], vinyl chloride, into the air in our communities? There is a definite need to have those emissions reduced to stop impacting the health of the community.” You can’t just go and talk to them in general—you have to have something specific about what is occurring in their district, and then you’ll get their attention. You can also bring community members who live on the fenceline of those facilities, and let those community members tell your state representative—or your Senator, whomever you’re targeting—what it’s like to live on the fenceline of those facilities. Is there anything else you would like the participants of One Part Per Million to know? Again, I think that when you live in an area that has industrial facilities, you need to check to see if they are releasing vinyl chloride. If you live in a non-industrial area, you need to look at the products you’re buying, that you’re bringing into your home or your workplace—even buying a book bag for your child or a pencil box for your child—and make sure those materials don’t have vinyl chloride in them.